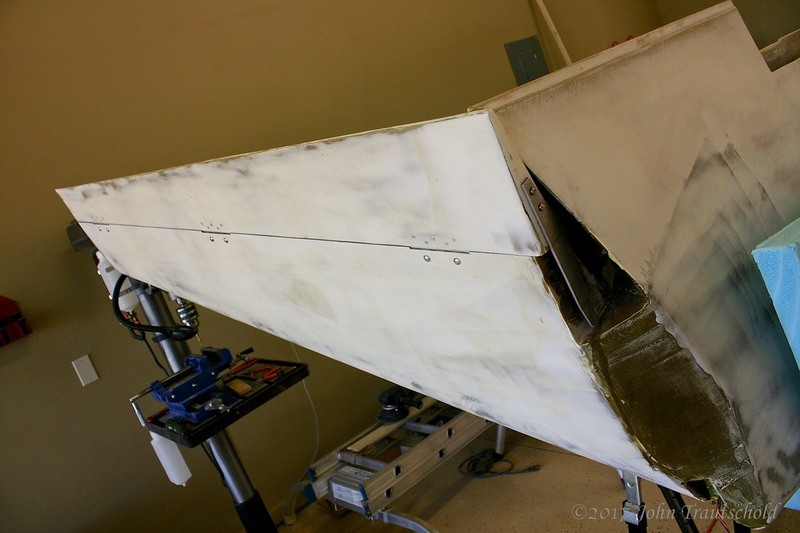 The process for installing rudder hinges is very similar to that for the ailerons. So, let’s begin! The rudders are cut and prepared so now it’s time to attach hinges and test to see if they are going to work properly. I also need to install a rudder return spring and the bell crank which eventually gets attached to the rudder control cable. Since the process for attaching the rudder hinges is almost identical to that for the ailerons, I’m not going to show photos for that. Nevertheless, here is the finished product! 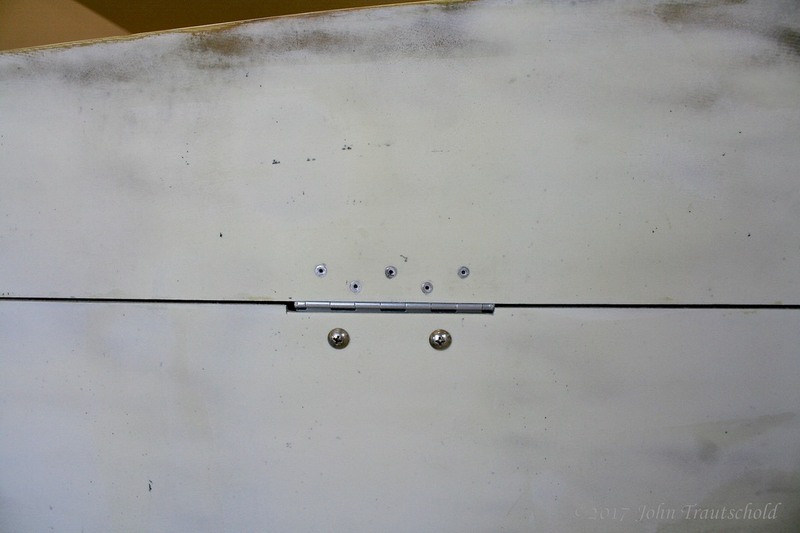 Here's a closeup of one of the rudder hinges showing the rivets that are used to attach the hinge to the rudder. The hinge is riveted to the rudder itself. (The rivets get covered with a finish epoxy so you won’t see them when the project is complete!) Some extra layups are done at the hinge location inside the rudder well to support the hinges. And as with the ailerons, nut plates get attached to the other side of the hinge for the screws that attach the rudder to the winglet. And we have an attached rudder! Progress! At this point I’ve completed the sanding required to let the rudder move properly without binding. The next step is to install the rudder return spring. 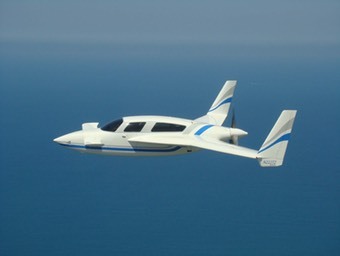 The mechanism actually gets embedded in the winglet itself and then epoxied into place. See the next page for that and information on the rudder bell crank.